I don't believe that the reviewer actually listened to the CD ten times. This album to me is musical gumbo, all of the different flavors and ingredients blend together to make an appetizing dish. Like gumbo, it gets better with each serving. It's different from Soulsinger and Feeling Orange But Sometimes Blue, and that's a good thing. 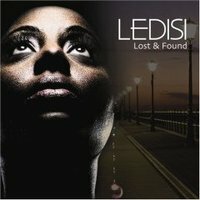 Ledisi is appealing to a wider audience now, and it's good that she's branched out and shown the growth and maturity in her music, all the while managing to retain her funkiness. I believe it's an incredible album; with cuts such as "Upside Down" and "I Tried," it is anything but boring and repetitive. Alicia Keys is looking smoking hot on the October 2007 cover of Complex Magazine. I’m really loving how she’s showing off her womanhood and sexiness with the upcoming release of As I Am. Tavis Smiley is fighting mad. The four front-runners in the Republican presidential race lamely cited scheduling conflicts as an excuse to avoid the “black” debate to be held at Morgan State University in Baltimore Thursday night. http://www.baltimoresun.com/entertainment/news/bal-to.smiley26sep26,0,5971022.story. This leaves the debate to be carried by former Arkansas Gov. Mike Huckabee, Sen. Sam Brownback (KS), Cong. Ron Paul (TX), Cong. Duncan Hunter (CA), and perennial candidate and gadfly Alan Keyes. Smiley successfully held a black debate for Dem candidates in the summer at Howard University in which all of the front-runners participated. http://www.pbs.org/kcet/tavissmiley/special/forums/. You’ll recall I live-blogged from that event. I’m scheduled to live-blog from Thursday’s debate as well. Well, I’m not angry at the Republican front-runners. In fact, I admire their refreshing honesty. They are not interested in black voters. They know that the Republican nominee, whoever he is, is unlikely to get more than 10% of the black vote. And with a short primary season, they don’t have the time to indulge in the empty gesture of debating about issues of primary importance to black voters. Moreover, most of them (Giuliani, I mean you) would be hypocrites if they stood up on the stage at Morgan and suggested that any part of their former or future policies would be aimed at addressing the particular concerns of African Americans. Why should we expect these candidates to continue the lame story peddled by the Republican Party during the past 10 years that the Party is really, really interested in courting black voters? What policies, advanced by the Republican Party in the last eight years could reasonably support the idea that Party leaders understand and are responsive to problems faced by so many blacks (e.g., over-incarceration based on draconian drug laws, predatory lending, lack of health insurance, hate crimes, property tax-funded education, voter intimidation, racial profiling, sky-high college costs, lack of meaningful public transportation, a living wage, gun violence)? I admit that the Dems have tried to make progressive change on only a few of these, but the Republicans have been resistant, even hostile, to addressing any of these issues. Perhaps the front-runners’ decision to dis’ the debate at Morgan signals a new period of candor in the Republican Party. My fervent hope is that this honesty will continue through next summer’s convention, where I hope the Party will return to featuring Alan Jackson and the Oak Ridge Boys as the evening talent. That way I can tune-out after the presentation of the nominee, instead of agonizing through every night just to watch Chaka Khan or Brian McKnight (although the deer-in-the-headlights look on Chaka’s face while she sang “Ain’t Nobody” before the disinterested throng of white delegates at the 2004 Convention was priceless). September 26, 2007--There are two kinds of layoffs, both of which are tied to a company's strategy to reduce costs and improve efficiencies, says Frank Traditi, co-founder of Get Hired Now L.L.C., a career coaching firm in Carson City, Nevada, and co-author of Get Hired Now! : A 28-Day Program for Landing the Job You Want (Bay Tree Publishing; $17.95). "Organizational restructuring layoffs occur when departments merge and a company eliminates unneeded functions," he says. "Performance-related layoffs focus on departmental performance around a bottom-line metric. Those who fall below it are let go," often with severance pay, which varies according to the position and tenure. Company Warning Signs: Hiring freezes, significant expense and budget cuts, reduced travel expenses, senior management level repositioning or resignations, and a noticeable increase in bureaucracy and decrease in decision-making authority can all signal impending layoffs. Listen to the company grapevine with an objective ear. You may get wind of rumors surrounding a layoff. Pay attention to other factors that support some of the talk going around; there may be some truth to the rumors. Personal Warning Signs: Poor performance reviews and a higher level of scrutiny on your day-to-day job duties should raise a red flag. If managers are asked to prepare a performance ranking of their team, they may begin to associate more with the surviving employees and distance themselves from the layoff group. If you suspect you are being left out of meetings, social gatherings, and discussions that were part of your everyday work life, you might consider this a sign that things are about to change. KILL 100 GET 16 MONTHS? BEAT UP A STUDENT GET? Band manager whose pyrotechnics led to 100 deaths has served 16 months CRANSTON, R.I. - The band manager whose pyrotechnics ignited a nightclub blaze that killed 100 people was granted parole Wednesday and will be released after serving less than half of his sentence. 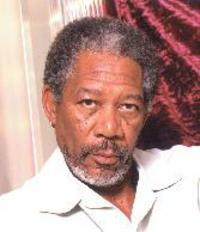 MORGAN FREEMAN TO PLAY NELSON MANDELA: Clint Eastwood eyes director's chair in post-apartheid film about rugby team. 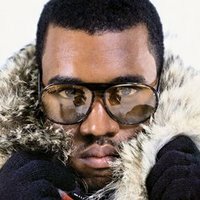 This clip of music’s reigning #1 Human Kanye West giving a rambly, pseudo-drunk interview is, quite simply, one of the funniest things I have ever seen. When I tell you that I’m going to be checking out the Wendy Williams Experience this Friday at 9:30 after BWE, believe me, I say it not as a corporate whore, but because this teaser could make me tune in to watch Carlos Mencia whipping batteries at a child for 60 minutes. And because Kanye and I is like Siamese Twins. 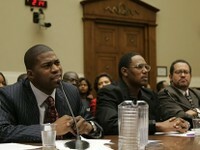 Levell Crump, aka "David Banner," left, accompanied by Percy Miller, aka "Master P", center, and Georgetown University professor Michael Eric Dyson, right, testifies on Capitol Hill Tuesday, during the House Commerce, Trade and Consumer Protection Subcommittee hearing on stereotypes and degrading images. (Susan Walsh/ AP Photo )"I want to apologize to all the women out there. ... I can honestly say I was wrong." That's what rapper Master P told the House Energy and Commerce Subcommittee today in a hearing on hip-hop and stereotypes. Master P, born Percy Miller, in New Orleans, formed and founded No Limit Records in the 1990s and made millions of dollars off records with the sexual and violent lyrics found in most "gangsta rap." "My brother was killed. 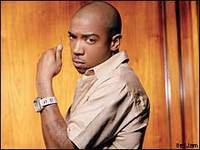 My cousin was killed ... and I used my rage," said Miller, whose album "Da Last Don" was No. 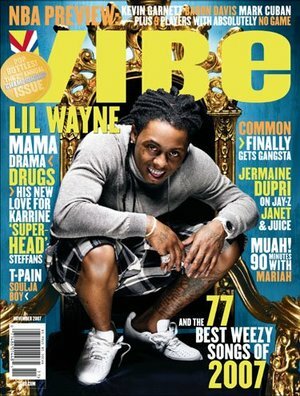 1 on the charts and went platinum four times over. Miller hopes he won't be judged by his past, which includes charges of felony gun possession and a season two stint on "Dancing With the Stars," but by his future -- a future he hopes will include a television show for people living in urban areas that would teach them about financial responsibility. "I'm going to challenge the networks. Let me put on a financial show, enhance our kids in these communities, and see what happens." Rapper David Banner, who testified alongside Master P, said that some segments of society were taking the role of music in culture too seriously. "It's still just a song," said Banner. He later added that members of Congress should focus on the message, not the word. "Instead of listening for curse words, listen that we're asking for help," he told the committee. 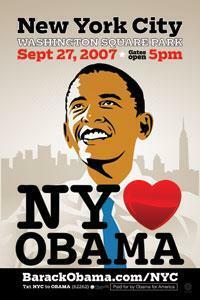 Barack Obama will be speaking in the West Village on Thursday at NYU's Washington Square Park. Obama goes on at 5pm, i'll probably be in the crowd snapping pictures. Quite frankly, I can't wait! I Can't Make This Up...I Just Comes! This has been a controversial issue in the Adams Point area. 401 Fairmount is currently a rather slumy dwelling not far from the new Whole Foods store still under construction. Apparently, AHA wants to obtain the City of Oakland's help in buying and then renovating this place. On the surface, it seems like a good idea. But for some reason, certain people don't want the City of Oakland to spend money on AHA to improve it. Check out this email message from one concerned resident: I just drove by the building the housing advocates want to buy. It is one of the two Pearl Street hell holes that have been repeatedly raided by OPD and the state bureau of narcotics. It's just up the block from where the man was murdered for his parking place. This makes me so mad. The building is owned by a couple who lives on Skyline Boulevard and who has two other properties in our neighborhood, also run down, though not as badly as 401 Fairmount. Indeed, 401 Fairmount is the most dilapidated cash cow you ever saw, generating about $399,000 a year in revenue. That's cash flow positive even at rock bottom rents, unlike the renovated duplexes in our community ,which are severely cash flow negative. The couple's total tax bill on the property is $26,182, though the problems created by their building are enough to keep 10 OPD officers employed full time. Meanwhile, their 35-unit building is in such awful shape that just being in a unit whose rugs haven't been cleaned in 20 years can bring on an asthma attack. I'm told the entire building is seismically unsafe and that the balcony railings are rusted. And that's just the beginning of the code violations. If the place is so bad, why not welcome AHA's involvement? What does the person want, for the problems she points out to remain? Confusing at best. Affordable Housing Associates (AHA) invites the HarriOak community to discuss AHA's interest in purchasing and renovating a dilapidated apartment building located at 401 Fairmount Avenue. Please join AHA staff to share your ideas and concerns.